Upchuck Alert: Pelosi’s Utter Disregard for the Gruesome Realities of an Unsecure Border prove she’s not fit to hold public office. ZootFeed’s Video shows that for almost four minutes, this doctor and ranch owner described the macabre existence of American citizens who live on the U.S.-Mexico border. This man has discovered the bodies of women and children left behind. He even found his dogs playing with a human skull, still filled with brain matter. The body wasn’t discovered for a few days. Vicker’s wife has been confronted by members of the drug cartels at their front door. Do you support President Trump’s proposal to build a border wall and get rid of sanctuary cities in order to protect American citizens? Most people who’d heard the facts this concerned rancher and husband laid out would immediately demand that the federal government do something to protect American citizens. 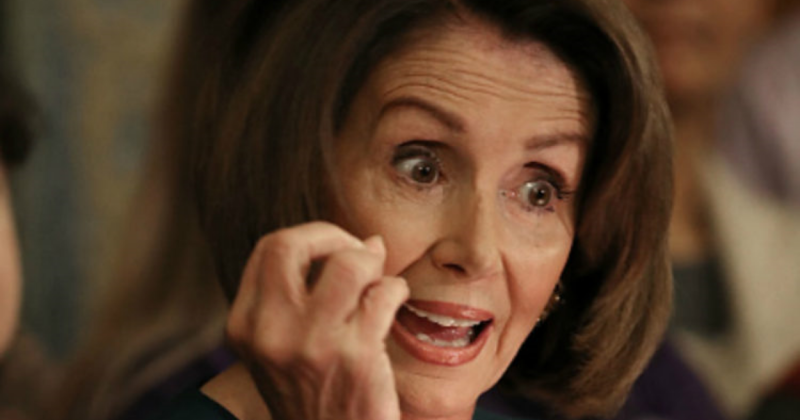 Effectiveness – Pelosi insinuated that a border wall would not protect our borders. Perhaps President Trump will wave his “magic wand,” as he did in Indianapolis? Out of curiosity, how would America fund “more technology and manpower,” when she says we don’t have money for a wall? To Pelosi, sanctuary cities “make us safer.” And other border towns should learn from their examples. Actually, what Pelosi just described was an environment that was safe for illegal immigrants; safe from federal law enforcement. She never addressed the safety of American citizens. Said the woman who lives on the richest property in America. I’m not sure how you can confidently assert that any sanctuary city has “respect for law and order” when most sanctuary cities disobey federal law by not reporting the release of criminal illegals to ICE. KVIA reports that in El Paso law enforcement agencies there work together. When criminals are released, ICE is notified. This is why El Paso is “safe” relative to other sanctuary cities. They obey federal law and deport illegal aliens who commit crimes.